Q. How do I obtain a Traffic Crash report? Copies of crash reports are available for purchase from the Springfield Police Department at the cost of $5.00 each. There are three ways to obtain your copy. Option 1: Purchase the crash report in person by visiting the Police Department’s Records Division located on 800 E. Monroe Street, 5th Floor. You may pay by cash or check. Office hours are 8:00 a.m. to 4:30 p.m., Monday – Friday (holidays excluded). Please bring with you a picture ID. Option 2: Mail a $5.00 check made payable to the Springfield Police Department along with a stamped, self addressed envelope for the department to mail back the report. In the correspondence, please include the crash report number along with a name and contact phone number. If you do not have the crash report number, list as much other information as possible regarding the crash (driver, date and location of crash). Mail your request to: Springfield Police Department Records Section, 800 E. Monroe Street, Springfield, IL 62701. Option 3: You may obtain your crash report by visiting www.Docview.us.com and following the instructions of the website. This is a third-party vendor who will charge a convenience fee in addition to the $5.00. Q. How do I report an abandoned/nuisance vehicle? Call the Springfield Police non-emergency number at 217.788.8311 to have a traffic warden or patrol officer dispatched to handle your request. Q. How do I report a vehicle illegally parked vehicle in a handicap space? Q. How do I file a complaint? If you believe a Springfield Police Officer has acted unprofessionally or if you experienced police misconduct in any form, please contact Internal Affairs at 217.788.8380. The office is located at 510 E. Allen Street and is open Monday – Friday, 8:00 a.m. – 4:30 p.m. You may also contact a police supervisor for assistance, as they are available 24-hours a day, 7-days a week at 217.788.8311. Q. Who is my Neighborhood Police Officer? The Springfield Police Department has eight patrol officers assigned to the Neighborhood Police Officer (NPO) program. You can locate a complete listing of these Neighborhood Officers and their coverage area by visiting the About Us section of our website. Q. How can I submit a FOIA to the department? If you are seeking information through the Freedom of Information Act, you may submit your request here. Q. How can I report traffic or speeding concern? If you have concerns about traffic speeds in your neighborhood, school or work zone, please contact our Traffic Safety Division at 217.788.8364. Q. Can I request an officer attend one of my neighborhood meetings, visit an area school or come to a special event? The Springfield Police Department participates in various events throughout the year that allow residents and officers to interact in fun and unique ways. We are always looking to partner with our residents and businesses on their upcoming events and activities. Give us a call at 217.788.8325 to request an officer or department to present. We ask that you provide as much advance notice as possible. We cannot guarantee participation if requests are made less than 7 days in advance of an event. Q. How can I report a good work by an officer or detective? For patrol officers you may contact a Springfield Police supervisor at 217.788.8328 or 217.788.8311. For detectives, you may contact an Investigations Division supervisor at 217.8345 ext. 4355 or 4357. You may also use our online submission form. Q. How do I contact someone at the department? You can contact the Springfield Police Department’s front desk at 217.788.8325 or contact a specific department directly by clicking here. Q. What do I need to get my vehicle released from an administrative hold? Step 1 - Come to the Springfield Police Department front desk located at 800 E. Monroe. Step 2 - Obtain an Administrative Hold Verification form from desk personnel. The person obtaining the vehicle must show proof of ownership or have a notarized letter from the owner allowing that person to drive the vehicle. Proof of valid insurance must be shown at that time. During non-business hours the fee ($250 or $500) will be paid at the Springfield Police Department front desk. Step 3 - During business hours the owner/driver takes the form to the City's Treasurer’s Office located in Municipal Center West building (next door) and pays the administrative fee. Step 4 - Bring the Administrative Hold Verification form and Treasurer’s receipt back to the Springfield Police Department front desk. Step 5 - A vehicle release will be completed and the owner/driver will be directed to the tow yard that is holding the vehicle. Step 6 - Pay the towing company the appropriate fees and provide them with the vehicle release form. Q. 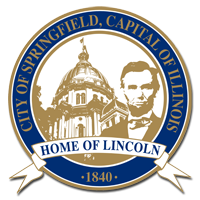 What are the standard tow fees in Springfield? $75 for the tow, $25 for each 24 hours of storage. Storage fees are assessed when the vehicle enters the tow yard and then every 24 hours the vehicle remains in the tow company’s possession. As an example; when a vehicle is towed and then released 2 hours later the total amount owed to the tow company is $100. Q. If I don’t retrieve my vehicle from the tow company what happens to it? In accordance with the Illinois Vehicle Code (IVC), a vehicle less than 7 years old must be held for 30 days from the date of tow. For a vehicle over 7 years, old the IVC states the car must be held for 10 days. As a matter of policy, the Springfield Police holds all vehicles for a minimum of approximately 35 days. At the end of that time period, a process known as Certificate of Purchase (COP) is initiated. When that process is complete, the vehicle has a junk certificate issued by the Secretary of State (SOS) to the tow company that is holding the vehicle and the vehicle then becomes the property of the tow company. Q. I have a parking problem in my neighborhood. Who do I contact about the issue? If someone encounters what they believe is a traffic or parking problem in a neighborhood, contact Traffic Services 217.788.8357 or through dispatch's non-emergency number at 217.788.8311. Q. Why are speeders allowed to continually speed in residential neighborhoods. Why can we not get a speed detection trailer or a speed detail? This is a simple case of supply and demand. All traffic complaints are directed to Traffic Services regardless of how they originate. Traffic Services has 2 sworn officers assigned to weekdays, 2 sworn officers assigned to DUI Enforcement and 2 speed radar trailers to address over 37 square miles of the city. When a complaint is received several factors are taken into consideration before deploying assets into an area. Often times a quick site survey reveals that what is perceived as a speeding problem is a perception issue. In residential neighborhoods where the houses are close together vehicles appear to be moving much faster than they truly are. Crash data and traffic pattern information is also analyzed to determine if there is empirical evidence to support the claims made in the complaint. When an area is designated for increased traffic enforcement activity several methods and tactics are used. Some of these tactics include radar trailer deployment and targeted enforcement details. Q. I am involved with educating children and others in driving safety. Can Traffic Services help me? Yes! Springfield Police Traffic Services officers are highly trained and experienced in traffic and driver safety. By contacting the Traffic Services Supervisor at 217.788.8357 arrangements can be made to provide safety and driver training for audiences of all ages. Traffic Services officers are trained in alcohol and drug impairment detection, juvenile directed traffic safety programs and new/young driver education. Traffic Services has a Seatbelt Convincer which few agencies in this area possess. This equipment dramatically demonstrates the importance and effectiveness of occupant restraints. We also have access to driving simulations involving moving vehicles and impairment simulators such as ‘Drunk Goggles’.